LIVE Broadcast from the Martin Main Stage on iradiophilly Friday-Sunday! PHILADELPHIA - What are you doing the third weekend in August? Well, if you are like thousands of music lovers on the East Coast you head for Upper Salford Township near the bucolic burg of Schwenksville, Pennsylvania, a little more than 35 miles outside of Philadelphia where the legendary PHILADELPHIA FOLK FESTIVAL transforms a working farm into a magical, musical “soundpark”. This cherished event is the longest continuously-running outdoor musical festival of its kind in North America and will celebrate its 52nd Anniversary on August 16-18 at the Old Pool Farm. “We are really excited about this year’s line up. One of the highlights for us is being able to put together a really “philly-centric” Saturday show”, said Richard Kardon of Point Entertainent. “David Uosikkinen’s In the Pocket: Essential Songs of Philadelphia presents the soundtrack of the past several decades in Philadelphia. It’s a veritable ‘Who’s Who’ from the Philly music scene” finished Kardon. Last year’s straight through programming on Saturday was met with great praise so organizers decided to do it again this year. There will be continuous musical performances from 11:00 AM through midnight, with workshops, showcases and Main Stage events. This straight-through concept allows the ticketing to be streamlined, with one ticket for each day, Friday, Saturday or Sunday, as well as the All-Festival ticket, providing admission for all three days at a discounted price, and an All-Festival Camping ticket for those individuals who want to stay on site for entire weekend. Returning for his 52nd consecutive year as host is WXPN-FM DJ Gene Shay who has been called the “Godfather of Philadelphia Folk Music”, has been playing folk artists on the radio every Sunday night, for most of our lives. His golden voice and affable demeanor welcome everyone to this historic event. The PHILADELPHIA FOLK FESTIVAL is a perfect family event, too. You will find an unrivaled selection of attractions for the kids, especially in Dulcimer Grove, the shady area between the Crafts Stage and the Camp Stage, where puppeteers, jugglers, storytellers, hands-on crafts and of course, kid-oriented musicians make it a haven for folk fans 12 and under. Again this year, there will be a concentrated effort to have continuous programming, including interactive musical events for children and families from 11:00 am until 4:00 pm Friday, Saturday, and Sunday. Children up to 11 years of age are admitted free of charge to the concert area. Older kids, 12 to 17, are eligible for the special “youth ticket”, allowing them into the grounds for half the regular gate price, when accompanied by an adult. Individual daily tickets are available or attend for all three days; add tent camping and you get an additional concert on Thursday night! Imagine settling into our 40-acre living room and becoming a part of the musical landscape. The campground at the PHILADELPHIA FOLK FESTIVAL is considered the ultimate Folk Festival experience. Tickets for the PHILADELPHIA FOLK FESTIVAL are now on sale and can be purchased online at www.folkfest.org. 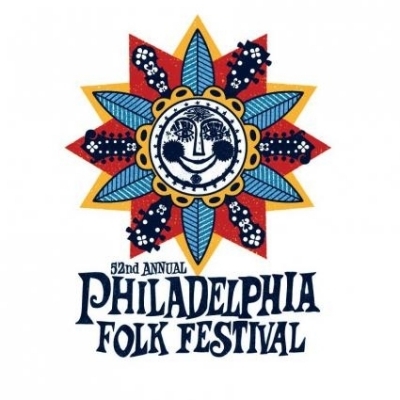 For additional information about the PHILADELPHIA FOLK FESTIVAL, visit the website www.folkfest.org or call the PHILADELPHIA FOLK FESTIVAL office at 800-556-FOLK.